Another great post from Michael Nicholson, looking at the far reaches of the stars and the farther reaches of God through the lens of sci-fi film. Enjoy! The recent movie Interstellar, directed by Christopher Nolan, continues and extends this trope of salvation from the stars, further investing it with the wonder, and supposed power, of contemporary cosmological speculation. Theoretical physicist Kip Thorne, an expert in relativity theory and the related concept of “wormholes”, was an inspiration for the storyline of Interstellar, and an advisor for the movie. 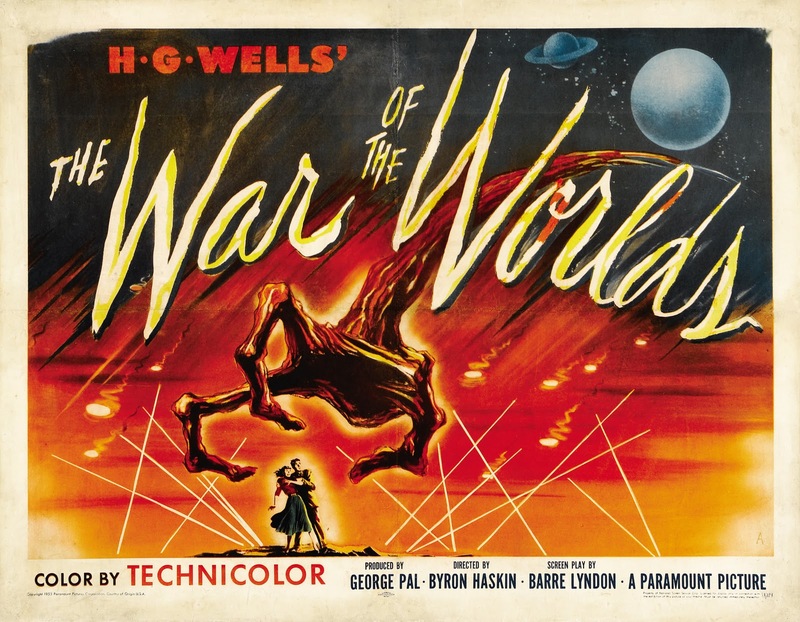 The movie presents a somewhat convoluted set of plot developments in which humanity is saved from its environmental exploitation of Earth by astronauts who travel through a space-time wormhole kindly provided by vaguely sketched higher-dimensional beings. A wormhole provided by friendly extra-terrestrials also figured in the movie Contact (1997), based on the book by Carl Sagan. (Kip Thorne was also an advisor for that film.) A wormhole is a conceptual phenomenon that emerges from some solutions of equations emerging from relativity theory. Such a wormhole could connect distantly separated regions of space and even different times. There is no observational evidence for wormholes, but the concept is a staple of science fictions films because it enables interstellar travel on human timescales. Interstellar also features, as another key to humanity’s salvation, a version (and fascinating visualization) of the “many worlds” interpretation of quantum mechanics, in which all possible histories and futures are real and actual. 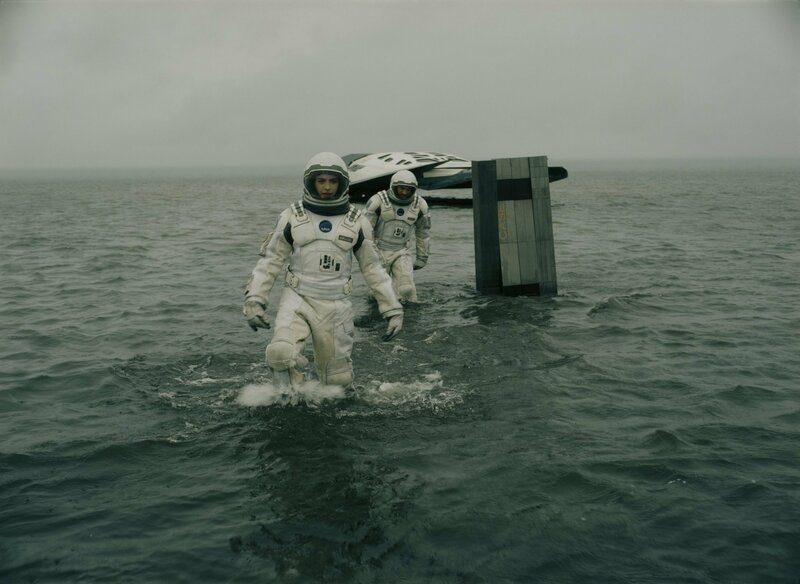 Nolan’s Interstellar does not so much try to spiritualize cosmology and physics (like Fritjof Capra’s The Tao of Physics: An Exploration of the Parallels Between Modern Physics and Eastern Mysticism ) as cosmologize and physicalize spirituality. Even love, which one astronaut tells another “is the one thing that transcends time and space,” remains on the human plane, with no referent or reach beyond itself. Material reality may contain higher dimensions and stranger things than we may have dreamt of, but salvation here is still strictly this-worldly, both in means and destination. In apparent paradox, ultimately resolved as contradiction, Nolan seems to see transcendence as available within this world, simply as a heightened experience of the world. While he recognizes and respects the human yearning for transcendent love, his narrative of salvation from the stars—though gorgeously filmed and poignantly acted—eventually loops us back on ourselves, still adrift within a closed cosmos. Nolan asks a question of salvation, but he has no answer. In the preface to his Gospel, the apostle John describes the Logos—the Word—who was with God and was God, “in the beginning”, from all eternity, and through whom “all things were made” (John 1:1-3), and who therefore transcends time, space, and matter—all of created reality; the stars within their galaxies, and all creatures great and small. If the story stopped there the Logos would be inaccessible to us; we who are closed within our material space-time existence, as well as caught within the ravages of our own sinful selves. Christmas is the Good News that the story does not end there. Salvation has come to us, not through an extra-dimensional wormhole, but because “the Logos became flesh and made his dwelling among us to bring us “grace and truth” (John 1:14). The birth of Jesus of Nazareth as the Incarnation of the Logos of God is a mystery. Not a contradiction, puzzle, quantum paradox or relativistic effect; but a Reality that truly transcends, and is therefore not explainable by, merely material explanations or a “single unifying equation”. In a Wall Street Journal column the day after Christmas, Eric Metaxas claims that the facts of cosmology and physics point to “something—or Someone” beyond themselves. Yet in the last paragraph he attaches an unnecessary and misguided coda: “The greatest miracle of all time,” he gushes, “without any close seconds, is the universe.” Metaxas is wrong. The greatest miracle of all time is the Incarnation, the mystery of Christmas, and the second is like unto it and equal, the Resurrection of Jesus Christ from the dead. The Logos who made the stars came from beyond the stars, from transcendent realms of glory, and for us and for our salvation was made man. I just finally watched Interstellar and while I loved its visuals and all its performances, I can’t deny my disappointment with how we end up saving ourselves in the end. What seems like a decent analogy for the Incarnation at first degenerates into technological Pelagianism. Still stunning, all the same. Thanks for pointing me here, Michael. I agree that several ‘big’ themed Sci-Fi films ( Interstellar amongst them) can be disappointing, and films which actually leave the ‘what if’ gate open (Cosmos) or leave us still searching for an answer (2010) can be more satisfying. Often most interesting of all are those which ask could life actually be more or at least different, and hint at this by showing a moment of inter-action between ourselves and something other or more (Starman). What I love about the genre, especially in book form and from the golden age (Asimov, Heinlien, Herbert and company) is that it boldly raises big questions, and, on occasion, provides a sense of wonder as we contemplate the possibilities. Totally agree with your conclusion.